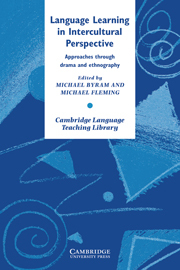 A volume concerned with best practice in blended learning for language teaching. 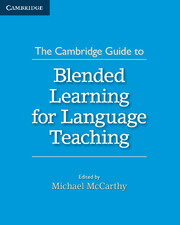 The Cambridge Guide to Blended Learning for Language Teaching makes the case that it is pedagogy, rather than technology, that should underpin the design of blended learning programmes. The book is organised into five sections: Connecting Theories and Blended Learning; Implications for Teaching; Rethinking Learner Interaction; Case Studies; The Future of Blended Learning. With its research-informed and practitioner-focused approach, this book is ideal for language teachers and language centre managers looking to broaden their understanding of pedagogy and blended learning. It will also be of interest to anyone working on blended learning course design or delivering teacher training courses. This book discusses the importance of sensitivity to cultural differences for language learners.